China Alliance Group，established in July 2007 in Manchester, United Kingdom, offers a one stop shop for property investors both inward and outward a series of business services in areas including: Finance & Accounting, Taxation, Banking, Legal and property investment. We have over twenty years experience in Real Estate investment in the UK, China and in South East Asia. We are a group of professionals who specialise in many different areas and able to understand our client’s needs and deliver a tailor made service to our clients. We also work with the government agencies to bring foreign investments to expand their business into the UK market, helping them to set-up, grow and settle down in the local area. We work with many government agencies to promote international trade between UK, China and Asian pacific countries. China Alliance Group is a leading one-stop real state investment company with the vision of open innovation and harnessing potentials. We create a variety of opportunities, scrutinising the finest detail, giving investors and strategic business partners best returns. By exhibiting real estate investment strategies, our insightful and disciplinary analyses provide our clients with a clear and insuring policy. Our well established reputation for property acquisition is part of the result of our constant strive, we aim to improve our client’s experience at every step. We have notable client satisfaction and our experience and creativity ensure that we meet all individual requirements. Without doubt, we work hard to ensure integrity and professional services are delivered on all our activities. We aim to enhance our client’s experience of real estate, promising both skill and innovation by our services. Focus on bringing foreign investments into UK, helping UK customers to expand their market overseas, provide high quality accountancy and consultancy services to clients from start-ups to market leaders. 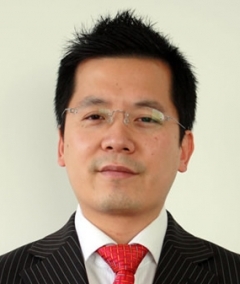 Currently Simon Li is managing a group of professionals to attract domestic and oversea investors to invest in UK properties and helping clients to raise finance in UK and abroad.